The Microsoft Surface Pro 6 which came out last year is a worthy choice consideration for most people looking to get an ultraportable laptop computer. Microsoft is looking to make the next iteration of the iconic surface pro laptop better than ever. Microsoft has filed a new patent which seeks to redesign the hinge mechanism that holds the kickstand in place. "Friction hinges with low or lower closing resistance levels are described. The friction hinges may thus have different opening and closing resistance levels. The lower closing resistance level allows the hinge to be closed with a lower amount of torque than used to open the hinge. In examples involving a hinged kickstand or a cover, closing the cover or kickstand does not involve the same effort as involved in opening the kickstand or cover. A lower closing resistance may be convenient for the user. A higher opening resistance level may be useful for device stability." Future redesigns of this hinge would mean a much lighter touch would be needed when closing the kickstand though opening it will still have the same ‘stiffness’ to the kickstand requiring the same amount of force to open. 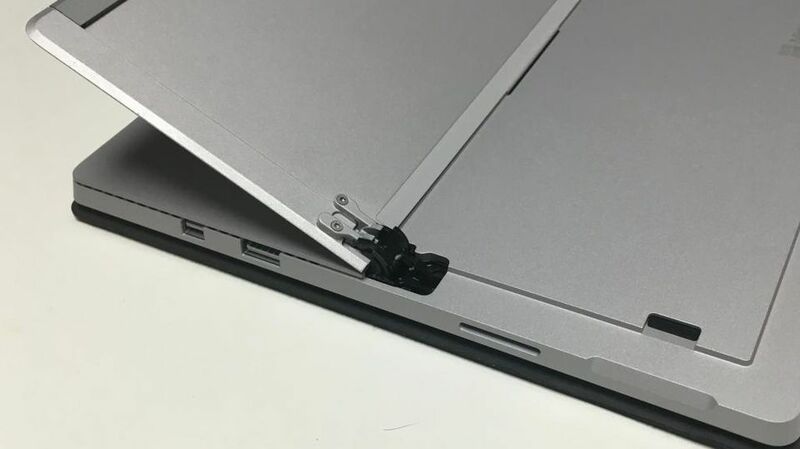 Microsoft expects the change to make it much more of a pleasure to use a surface pro device fitted with said hinge mechanism. We are not certain if this new design concept will be fitted into the upcoming surface expected to launch later this year likely in early Q4, if Microsoft follows previous release rhythms.